Today Thursday, July 26th see an early showing of Spiderman – Homecoming!! 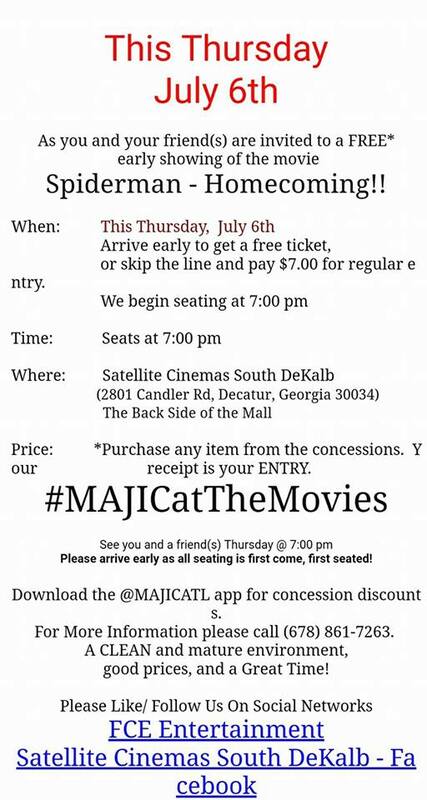 Join Majic 107.5 at the Satellite Cinemas for Free tickets for Spiderman -Homecoming. Make sure you get there early because Free Tickets are limited and are on a first come first serve basis. Even if you don’t get a free ticket you can still enjoy a discounted rate of $7.